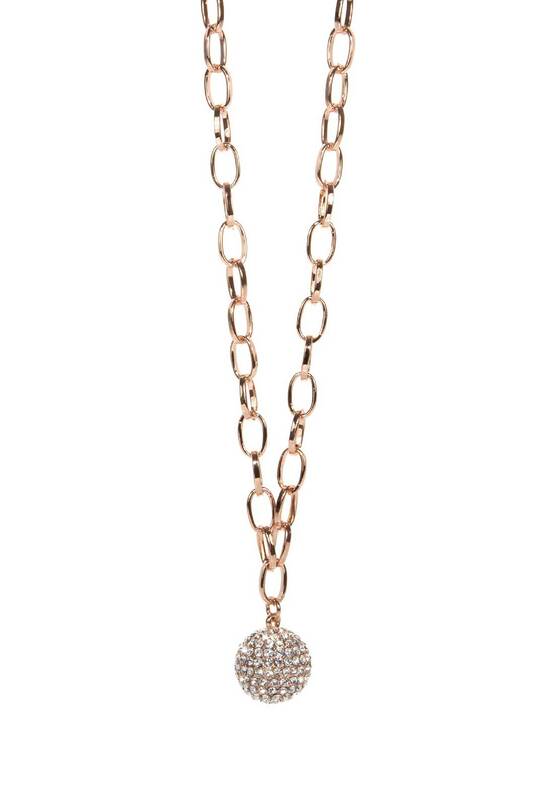 A pretty rose gold chain, and on its hangs a pave set, disco ball style pendant. Glittering clear crystals cover the pendant, and catch the eye from every angle. Matching earrings complete the look.